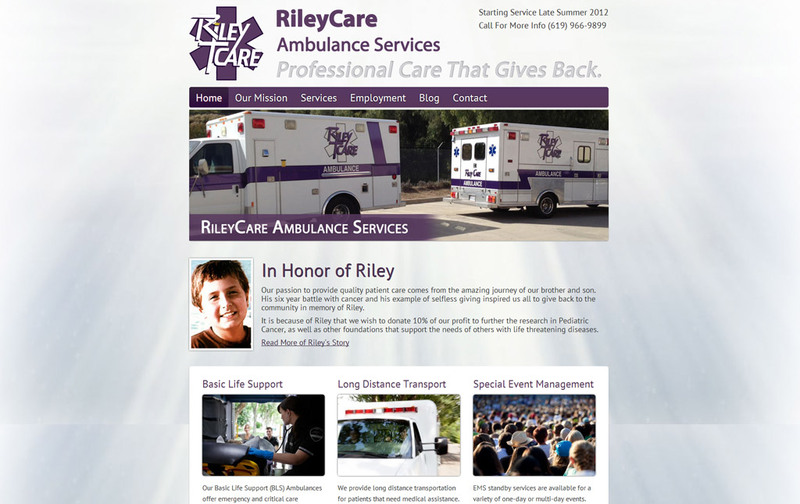 Riley Care is a San Diego, CA ambulance company that provides transport for patients to/from homes, hospitals, etc. 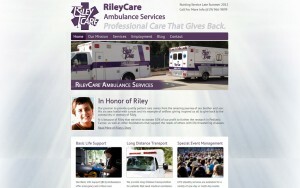 Riley Care contacted Design SEO Hosting as a new business that wanted to establish an identity and presence on the web. Using an existing logo provided by Riley Care, we designed a website and created a content structure. The completed website is clean, professional and inviting – giving visitors easy access to either contact Riley Care, find out more about their services or read about the inspiration behind Riley Care Ambulance. By using the WordPress framework we were able to give Riley Care a website they are capable of maintaining and updating on their own.